Today is Data Privacy Day! Or, as it’s known in Europe, Data Protection Day. At Opera, we believe in shaping a more private mobile web and mobile app future. With the mass adoption of smartphones, some of you may want to protect your data privacy not only when using a browser to access the web, but also when using other apps on Android. 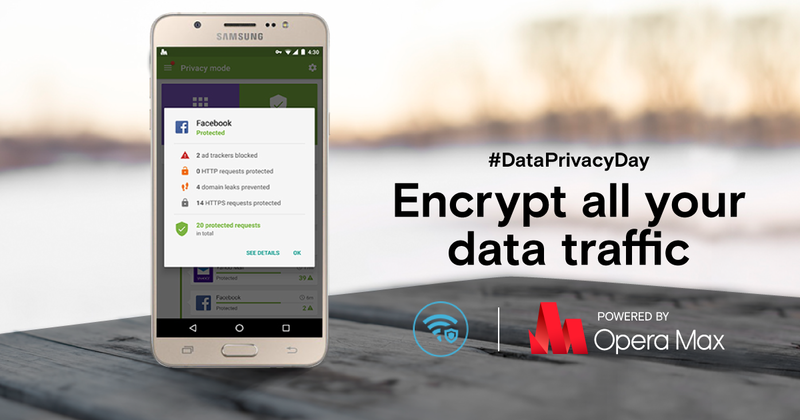 I want to share three easy tips for how to protect your data privacy on Android. There are free Wi-Fi hotspots everywhere, and it’s always tempting to connect to one to save on mobile data costs. But be careful. Connecting to these unsecure, free Wi-Fi hotspots could put your private information at risk. Anyone can easily intercept your data traffic through unsecure Wi-Fi hotspots and get a lot of the information you send through your apps and browser, such as your username, passwords, and even your personal information. Unethical Wi-Fi hotspot providers may bypass standard security mechanisms used for protecting your data like HTTPS and use of security certificates, before giving your access to their free Wi-Fi hotspots. Make sure you don’t fall into this trap. If you have to connect to one of these free public Wi-Fi networks, make sure to secure your app data traffic with an additional layer of encryption from a trusted VPN app. This month, Google will start tagging web pages that include login or credit card fields with the message “Not Secure” if the page is not served using HTTPS, the secure version of the internet protocol. In other words, using non-HTTPS connections put your private data at risk. However, when using Android apps, it is quite difficult to find out whether the apps are using an HTTPS connection. It is highly recommended that you avoid inputting your sensitive private information into Android apps if you are not sure whether or not they use the latest best practices for privacy and security, or you can choose to encrypt all your data traffic. 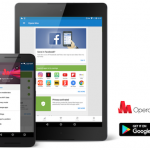 Our Data Savings and data privacy app, Opera Max, has a handy Privacy Mode that can help you figure out which apps you can trust. So if you are not sure about how safe a certain app is, you can see how well it behaves in terms of privacy with Opera Max’s Privacy mode. We think the biggest risk to Android users’ privacy comes from apps themselves – especially ones that constantly send trackers to third parties without notifying the user. These trackers are collecting your private data and tagging you for retargeting by future ads. However, with over 1.5 million Android apps out there and counting, there is no one keeping track of which apps respect your privacy. Therefore, we think it is important to take a look at what apps on your phone are really doing and provide a way to minimize this kind of tracking. How do we protect your private data on Android devices? 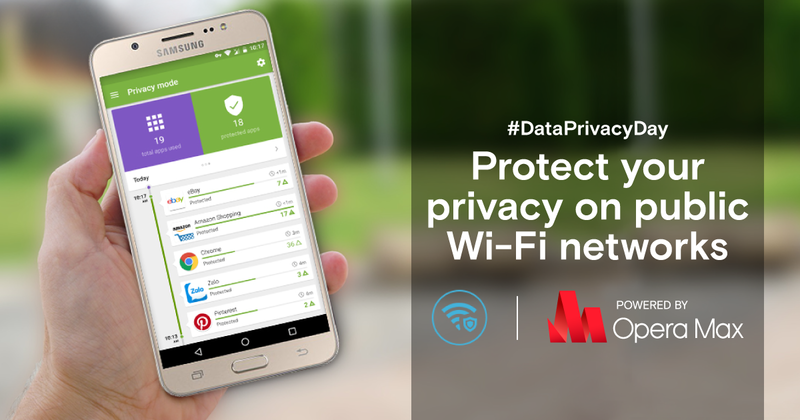 Last year, the Opera Max team introduced “privacy mode”, a VPN-like service that protects and encrypts Android users’ data and privacy. 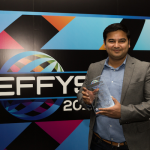 It not only encrypts data usage on open Wi-Fi hotspots, which makes hotspots more private and secure, but it also filters tracking requests from the apps themselves. 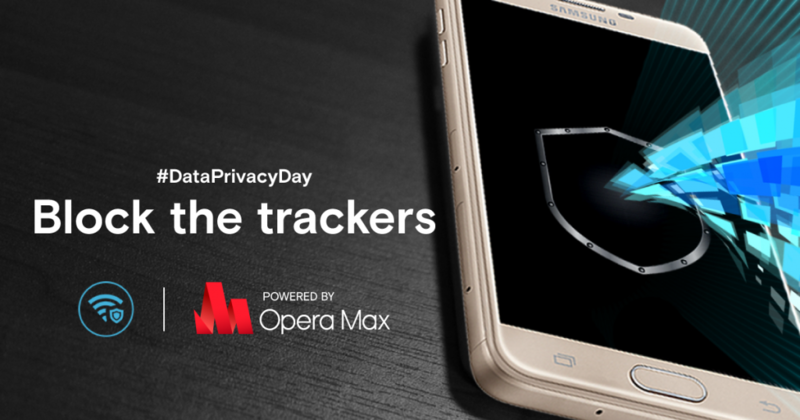 In December 2016, over one million monthly users activated Opera Max’s privacy mode. This mode has protected over 63 million requests. One of our goals is to educate people about which apps are over-sharing data with third parties. It should be standard practice in the mobile app industry to inform users about what their apps do with their data. To find out which apps are being a bit sketchy on your device, we encourage you to install the latest version of Opera Max and run privacy mode while using apps on mobile or Wi-Fi networks. It’s the first step toward better online privacy. 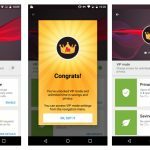 Previous article: Updated 5 Q&As on Opera for AndroidNext article: Opera Mini brings faster access to downloads & more ways to interact with your favorite online content.